County officials are trying to drum up participation in the next U.S. Census — a year before the feds start surveying and counting. Arlington has joined other neighboring jurisdictions in creating a group called “Complete Count Committee” tasked with convincing residents to fill out the 2020 Census form when it arrives next April. Wanda Pierce, a Nauck resident who co-chairs of the committee, said the group is “representative of all different types of organizations, ethnicities, religions, everyone across Arlington, because to reach a lot of the hard-to-count populations, we have to have those members on the committee,” per a press release. “The U.S. Census Bureau cannot conduct the 2020 Census alone,” the website for the committee reads. Each member of the committee is tasked with recruiting at least 1,000 Arlington residents to take the annual survey, per the committee’s website. Previously, Principal Planner and co-director of the Arlington County Census 2020 campaign Elizabeth Hardy spoke at a March meeting with the Metropolitan Washington Council of Governments where she noted the county began 2020 census preparations in 2018. “This time I feel like every resident is in a hard-to-count community,” said Hardy, who worked on the awareness campaign for the 2010 census. She said there “were a lot of lessons learned” from the 2010 campaign, and that this time around the county planned to share more resources with neighboring jurisdictions. 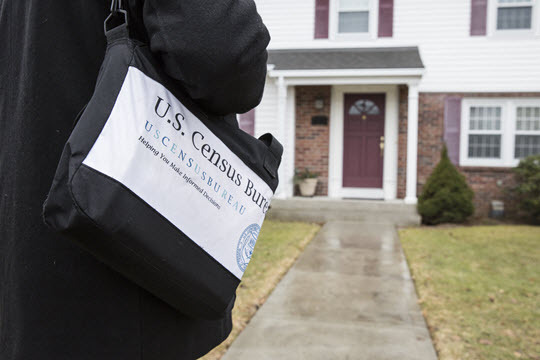 The census is administered once every ten years by the federal Census Bureau. Next year’s Census has drawn controversy after Commerce Secretary Wilbur Ross’s decision to collect information about respondents’ about the citizenship status, a largely unprecedented move that’s been criticized by civil rights advocates and defended by President Trump. The Supreme Court is expected to make a ruling on the citizenship question on April 23. The most recent Census estimate of Arlington’s population — made in intervening years between official Census counts — was 234,965 as of July 1, 2017. That showed Arlington’s population has continued to grow, from 230,050 in 2016, 226,908 in 2014 and 207,627 from the last Census count in 2010. Every level of government studies the population data gleaned to make funding decisions. The number of people counted also determines how many House of Representative seats each state is awarded. 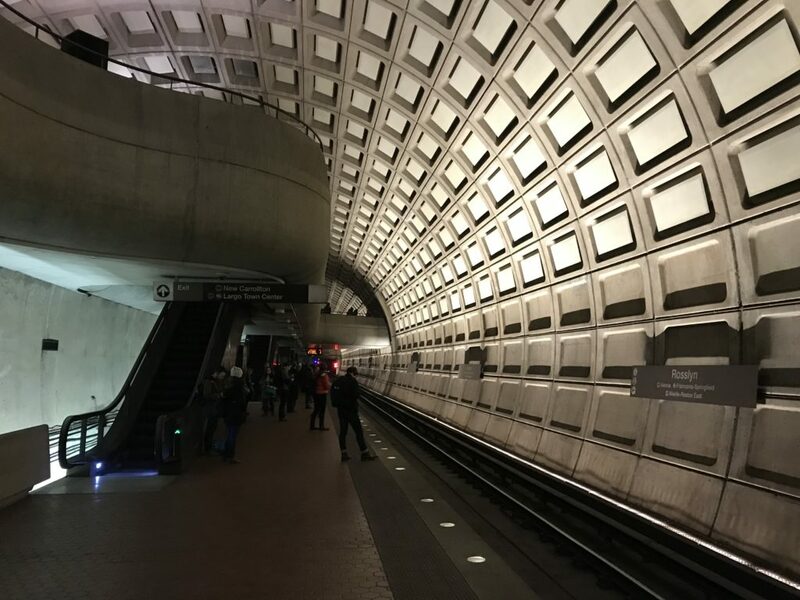 Metro is moving forward with its new budget, proposing sweeping service increases to bolster ridership with the need for a modest budget increase from Arlington. The WMATA Board of Directors gave initial approval for the transit agency’s draft $3.5 billion, FY2020 budget during a meeting today (Thursday). The budget paves the way to start running Yellow Line trains to Greenbelt and Red Line trains all the way to Glenmont, eliminating the Silver Spring turn-back. The budget asks Arlington to contribute $77.6 million to the agency’s operating budget, a $2.6 million increase from last year. “Yellow and Red extensions help any Arlingtonians heading to those end points and expand the commute/travel shed into Arlington to accommodate growth in Pentagon City and Crystal City,” Metro Board member and Arlington County Board Chair Christian Dorsey told ARLnow after Thursday’s meeting. “Better service helps us all,” said Dorsey. Arlington County Manager Mark Schwartz proposed $45.6 million in the county’s next budget to be allocated to Metro’s operating budget, a $5 million increase from budget adopted last fiscal year. The remainder of the county’s $77.6 million in funding is from a small increase in the portion of the county’s capital improvement program (CIP) funds set aside for Metro. Arlington County Board members advertised a 2.75-cent bump to the real estate tax in Arlington’s next fiscal budget, in part, to cover rising expenses at Metro. The budget also included a small, $1 million proposal provide $3 subsidies for late-night rideshare trips that area workers take, now that Metrorail’s own late-night service is no more. One uncertainty the transit agency’s budget continues to face is its ridership rates, which have now plummeted to a 20-year low. 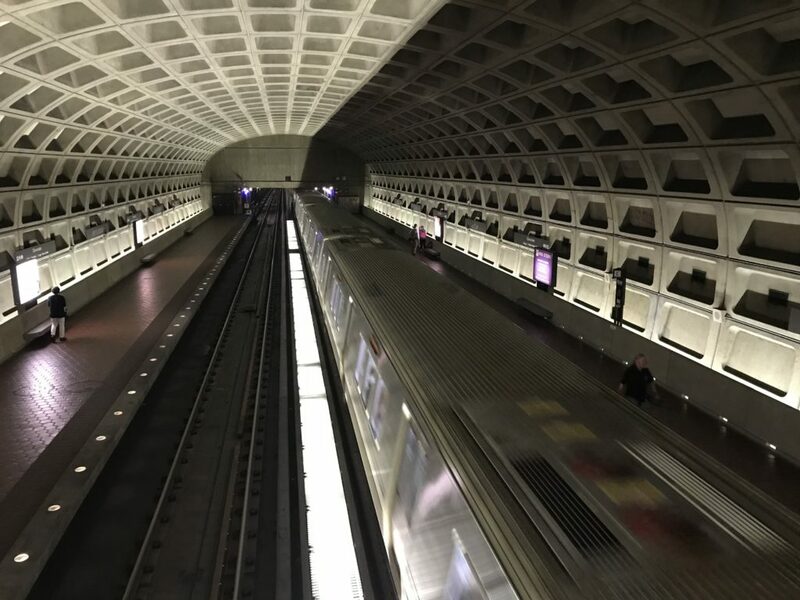 The budget banks on that number stabilizing this year, a result WMATA General Manager Paul Wiedefeld hopes to achieve with the increased service. Wiedefeld initially proposed even more sweeping service increases, including an expansion of rush-hour service, but the expense prompted consternation from county officials. Those proposals were ultimately stripped from the budget. The budget proposal Board members approved Thursday did not include service cuts or fare increases. Metro Board member Corbett Price, representing D.C., thanked Dorsey at the end of the meeting for his “political leadership” in assembling the budget, reported WTOP. “My only hope is people say such things about me when I’m dead,” joked Dorsey. Metro Board members will convene again this month for a final vote on the budget, which goes into effect in June. Arlington will celebrate the life and legacy of Martin Luther King, Jr. with a free annual event featuring local performers this Sunday (Jan 20). “Supernatural” actor Christian Keyes is set to host Arlington’s MLK Tribute, which is now in its 50th year. The event will run from 5-6:30 p.m. at Wakefield High School. 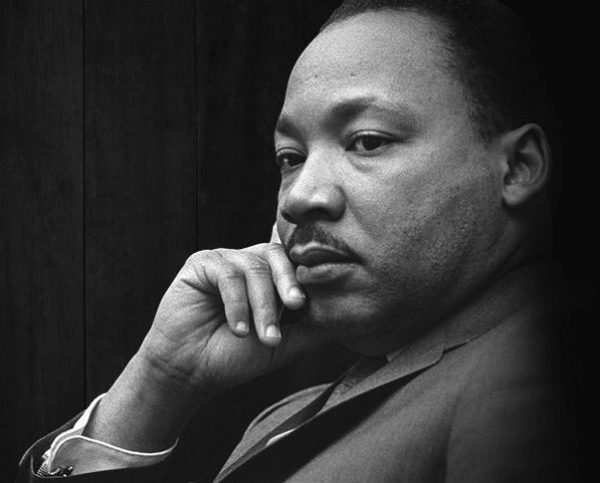 Community members and county staff created the annual tribute one year after King’s assassination in 1968 as a way to bring the community together around King’s vision for social equality. 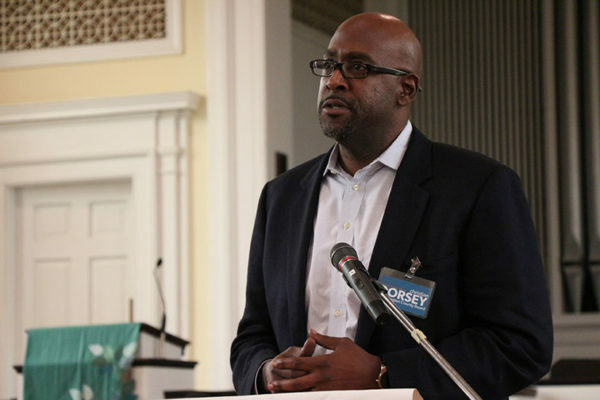 “Arlington’s beloved MLK tribute event is a joyful celebration of Dr. King and his powerful advocacy for social and economic justice, non-violence and empowerment that continues to serve as a beacon for our nation more than a half-century after his assassination,” Arlington County Board Chair Christian Dorsey said in a press release. The program features music, dance and spoken word roles. Guests will be seated on a first-come, first-served basis, and overflow space with a live stream of the program will be available if the auditorium reaches capacity. Anyone attending is encouraged to bring non-perishable goods to donate to Arlington Food Assistance Center. (Updated at 8:25 p.m.) When many Arlingtonians take a look at the sort of impact Amazon has had on Seattle since setting up shop in the city, they can’t help but feel nervous about how the tech giant might transform the county when it arrives. The city has seen everything from skyrocketing housing prices to nightmarish traffic congestion stemming from Amazon’s rapid growth into one of the largest companies in the world, and leaders there have felt compelled to take new steps to bridge the growing inequality between the city’s tech workers and the rest of its residents. It all provides plenty of reason to be wary of what lies ahead for Arlington once the company starts bringing its new headquarters to Crystal City and Pentagon City. But local leaders and regional planners are trying to deliver a clear message to quell those concerns — Seattle and D.C. could not possibly be more different. For one thing, it helps that the D.C. region is quite a bit larger than Seattle and its suburbs. Chuck Bean, the executive director of the Metropolitan Washington Council of Governments, estimates that the D.C. metro area is “about 40 percent bigger” than Seattle’s, so there’s “a lot more absorptive capacity” for the workers Amazon will bring here. It doesn’t hurt either that Bean believes has the region has “an advanced, mature transit system that Seattle didn’t have,” giving people the ability to live a bit further away from the headquarters without necessarily relying on a car. “Perhaps it’s a bit too mature, but we’re working on that,” Bean said, in a reference to the lengthy efforts by local leaders to get Metro working properly again. Amazon has pledged to deliver 25,000 new jobs at its new headquarters, but officials have consistently reiterated that only a small portion will likely live in Arlington itself, and many already live elsewhere in the region. The way Dorsey sees it, the county is only likely to see about 20 percent of Amazon’s workers live in Arlington, equivalent to about 5,000 people in all. In a county of 230,000 people or so and a broader region of millions more, he hopes that such an addition won’t be nearly as disruptive as it was in Seattle. Bean also points out that Amazon’s 25,000 jobs is just a drop in the bucket compared to the 1.1 million jobs his group believes the region will add over the next 20 years. Dorsey also notes that Amazon’s employees “earned significantly more than other Seattle workers,” especially when the company was first growing in size. Based on the tech firm’s projections, Dorsey expects that Amazon’s workers will earn “about what the typical higher wage employees in this area already earn” — as a condition of the state’s deal with Amazon, the average salary of the company’s workers needs to be at least $150,000 per year, with that amount increasing each year. Dorsey acknowledges that there is the chance that adding more wealthy workers will drive up prices around the region, particularly for rent. But Eric Brescia, a member of Arlington’s Citizens Advisory Commission on Housing, says it’s not that simple. 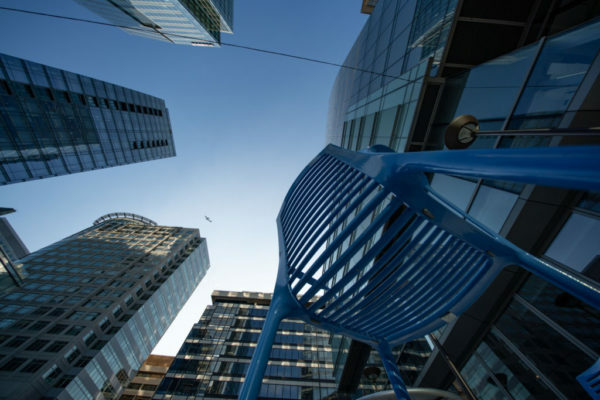 To demonstrate the difference, Brescia drew a comparison between how San Jose managed the explosive growth of Silicon Valley and Charlotte shepherded growth in its financial services sector. Brescia, an economist for his day job, pointed out that Charlotte has since a 40 percent boost in jobs over the last two decades, while San Jose saw just a 17 percent bump. Nevertheless, home prices in Charlotte only rose by 18 percent in that same period, while they rose by 160 percent in San Jose — adjusted for inflation. In his mind, the difference comes down to housing production — Charlotte and its suburbs added 400,000 new homes over the last 20 years, while San Jose managed just 100,000. For Dorsey, who once drew headlines for proclaiming that the county should not “protect” certain neighborhoods from density, that illustrates the County Board’s challenge in the coming years. He points out that Arlington is currently dominated by large swaths of neighborhoods with only single-family homes, particularly in the areas outside of Arlington’s Metro corridors. 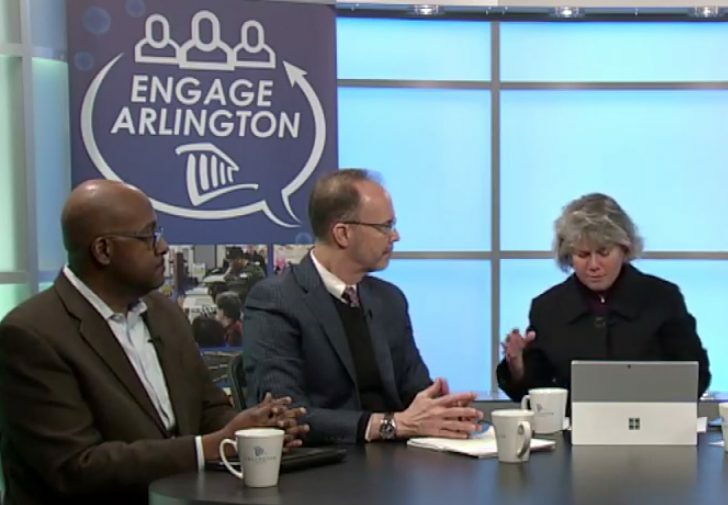 As county Housing Director David Cristeal noted, the majority of the homes in Arlington are apartments, but the majority of the square footage is occupied by single-family homes. That could mean everything from expanding the county’s previous efforts to allow more “accessory dwelling units” on single-family lots, or encouraging the redevelopment of some single-family homes into duplexes. But Dorsey also admitted that some more drastic changes could be necessary in terms of increasing density throughout the county. If officials don’t embrace that mindset, Brescia fears Arlington could wind up facing some of those Seattle-sized problems it hopes to avoid. With newly reshuffled leadership on the Arlington County Board, local officials are pledging a focus on equity as Amazon arrives this year, particularly when it comes to housing in the county. The Board’s annual organizational meeting came with little in the way of procedural surprises last night (Wednesday). Vice Chair Christian Dorsey earned unanimous approval take the chair’s gavel, replacing outgoing Chair Katie Cristol, while Libby Garvey was elevated to take his place. But the meeting still represented a major turning of the page in the county. Not only was the gathering the Board’s first since Matt de Ferranti’s swearing in, returning the Board to unified Democratic control for the first time since 2014, but it was a chance for Board members to sketch out a vision for how they plan to confront what looks to be a difficult year. Naturally, Amazon proved to be the elephant in the room as officials delivered their annual New Year’s remarks. In kicking off the Board speeches, Dorsey framed his upcoming year-long chairmanship as one that will have “an emphasis on equity,” especially when it comes time to “expertly manage” Amazon’s growth. Dorsey noted right away that he’s “only the third person who looks like me to ever serve as chair” of the Board — he joins Charles Monroe and William Newman, now the chief judge of Arlington Circuit Court, as the only black men to hold the gavel in the county’s history. Accordingly, he said that history will guide his focus on “ensuring that Amazon’s gradual growth here benefits our entire community,” especially as the county prepares to confront some tough budget years while it awaits a projected revenue boom from the tech giant’s presence. “Taken together, budget gaps today, and significant investment and commercial growth in the near term, present us with the dual responsibility of ensuring that today’s austerity doesn’t disproportionately burden the marginalized and most vulnerable, and that better times don’t leave those same people behind,” Dorsey said. Board members agreed that a key area focus for leaders on that front will have to be changes to the county’s zoning code, as officials work to allow different types of reasonably priced homes to proliferate around Arlington. Cristol and Board member Erik Gutshall both praised the Board’s past work on housing conservation districts as a good first step, but both emphasized that the county needs to do more to meet its own goals for creating new affordable homes each year. De Ferranti agreed that the county should be fighting for a “significant public and private investment in affordable homeownership and rental housing” as it finalizes its incentive package to bring Amazon to Arlington. Yet Board members pledged to keep a more local focus as well, particularly when it comes to Amazon’s impacts on the county’s already crowded classrooms. Officials are hopeful that county schools will able to handle the gradual arrival of Amazon employees and their families, but Gutshall and Cristol both called for renewed long-range planning efforts for new school buildings. De Ferranti was even more specific, saying the Board should build future budgets to “put the county in a position to fund the building of another high school” — the School Board is currently in the midst of hashing out plans for new high school seats at the Arlington Career Center, but whether or not that facility will provide the equivalent of a fourth comprehensive high school for county students remains an open question. Through all of these difficult discussions, however, Garvey urged everyone — from local officials to activists — to strike embrace “civility.” The year-long debate over Amazon has already promoted plenty of tense meetings and raised voices, and the new vice chair argued that “Arlington Way has gotten rather frayed around the edges” in recent months. Arlington County’s bus service saw another substantial dip in ridership this spring compared to the same time last year, new numbers provided to regional transportation planners show. Arlington Transit recorded a 15 percent drop in riders in the fourth quarter of fiscal year 2018, covering April through June, compared to the same period a year ago. 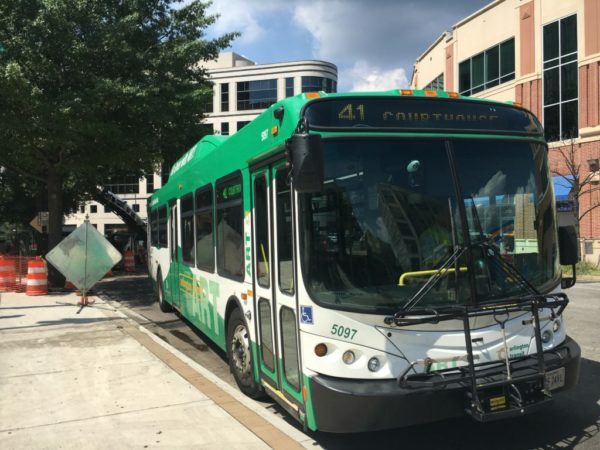 The latest figures forwarded to the Northern Virginia Transportation Commission show that the bus service recorded 745,850 passenger trips over that three month stretch, down from 874,695 a year ago. That number is actually a 6.6 percent increase from ART’s ridership figures covering January through March. But those numbers were also disappointing ones for the bus service, as they represented a 17 percent drop from the same time period in 2017, meaning that ART has recorded ridership declines for the last two quarters in a row. The latest ridership statistics represent an even steeper drop still from the same time period in 2016, when ART recorded 905,661 passenger trips — equivalent to a 17.6 percent decline. 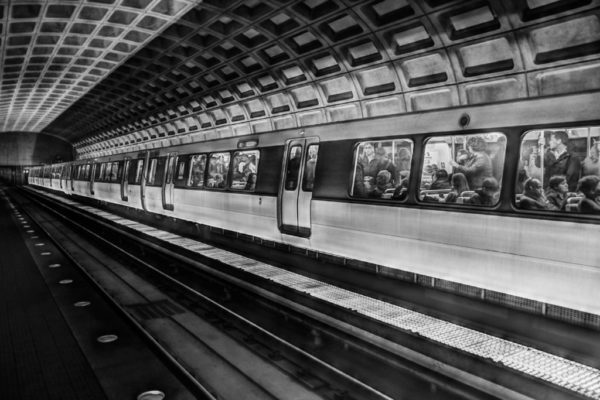 These figures come as bus services nationwide cope with ridership declines, as the D.C. region as a whole struggles to convince riders to embrace public transit. The NVTC’s numbers also show that Metrobus ridership in Northern Virginia localities dipped by 9 percent this quarter compared to a year ago, though Metro ridership did tick slightly upward at most Arlington stations. The county has indeed previously blamed some of the decline in bus ridership on riders returning to Metro after the aforementioned intense rehab work, though the rail service has continued to deal with lengthy delays due to construction, which recently resulted in some riders embracing bus options this summer. Other potential culprits include the increasing popularity of ride-sharing or telecommuting. Dorsey says the county’s approach to reversing that trend will remain the same as ever: “keep investing in places where people want to go.” He added that the county is also working to “refresh” some of its older ART buses, which could help lure riders back to the service. County Board members Christian Dorsey and Libby Garvey and help SyLearn CEO Jay Chandok cut the ribbon on his new business. SyLearn staffers, Arlington officials and family members chat at the grand opening of SyLearn in Virginia Square. 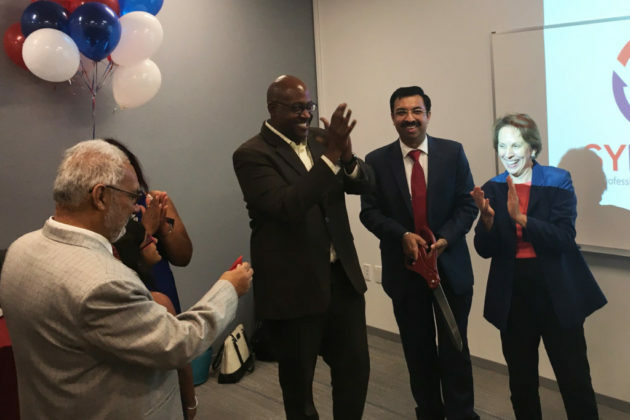 While most ribbon cuttings for new businesses around Arlington tend to be full of pomp and circumstance, SyLearn’s grand opening in a modest Virginia Square office building Wednesday was a family affair. CEO Jay Chandok, who helped found the new IT training company, busily urged guests to help themselves to a full buffet, as the daughters of Chandok and other staff members snapped pictures of new arrivals with iPhones. One made sure to introduce each visitor to one of her dolls, which she’d given a Hawaiian name: Leilani. The event, much like SyLearn itself, was relatively small in scale. But Arlington officials say arrival of such businesses in the county is just as important as some of the bigger names economic development staffers are focused on these days. 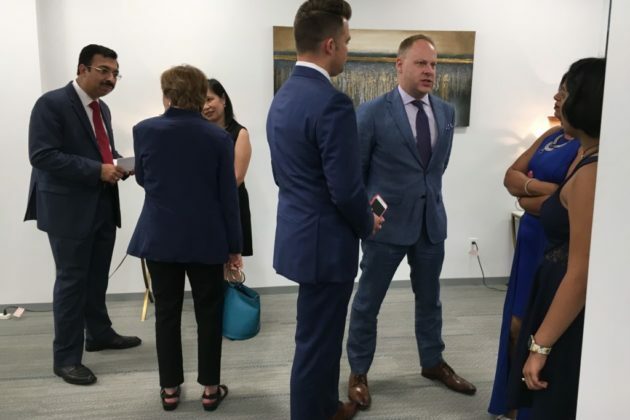 Chandok says the county indeed helped connect him with real estate brokers as he searched for a home for his new business, which was born out of another, similar program he worked on in Arlington. Chandok hopes to eventually start hosting as many as 200 students each year in the space, with a pool of eight instructors to help them earn certifications on the latest software, or even make a career change and embrace IT. With a legion of federal agencies, not to mention contractors, nearby, Chandok surely won’t lack potential customers. Dorsey also hopes that the county’s school system will consistently “provide a pipeline of talented students” interested in IT, noting that “we can only do so much” when it comes to career education. 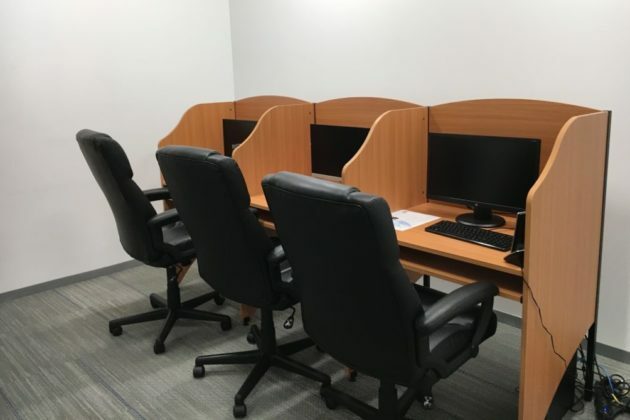 Board member Libby Garvey, a longtime School Board member herself, also pointed out that SyLearn could be a perfect fit for the many veterans in Arlington, should they want to build on the tech training they received in the military. “They have incredible talent that we need to tap into,” Garvey said. With that sort of pool of would-be students available, Dorsey expects to be attending another ribbon cutting for SyLearn sooner, rather than later. “As he grows, I want you to find him a bigger space,” he implored the economic development staff in attendance.